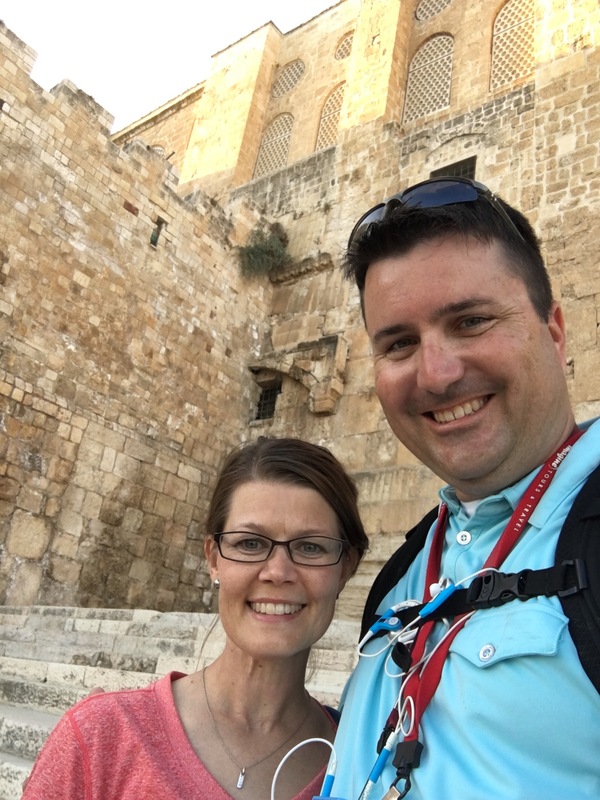 Just outside the walls of Jerusalem’s old city, nestled between mosques, coffee shops, parking lots, and a cemetery sits the most historically important location in the history of the world. 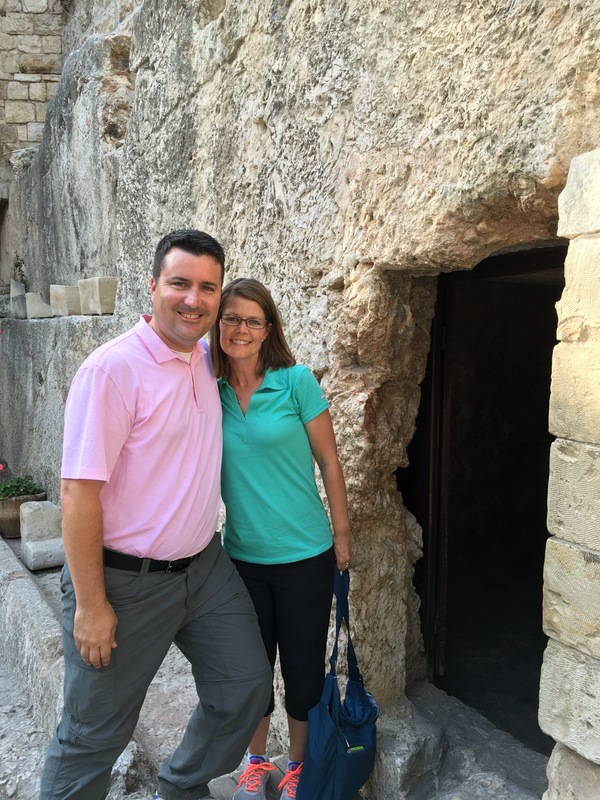 It is here (at a location now called “The Garden Tomb”) that Jesus most likely was crucified, buried, and resurrected. Of course, we cannot know for certain that this is the actual location of these events, but it is very probable. The Romans typically crucified their prisoners outside the city walls along major highways. This was meant to both humiliate those being executed and serve as a deterrent to all who passed by. 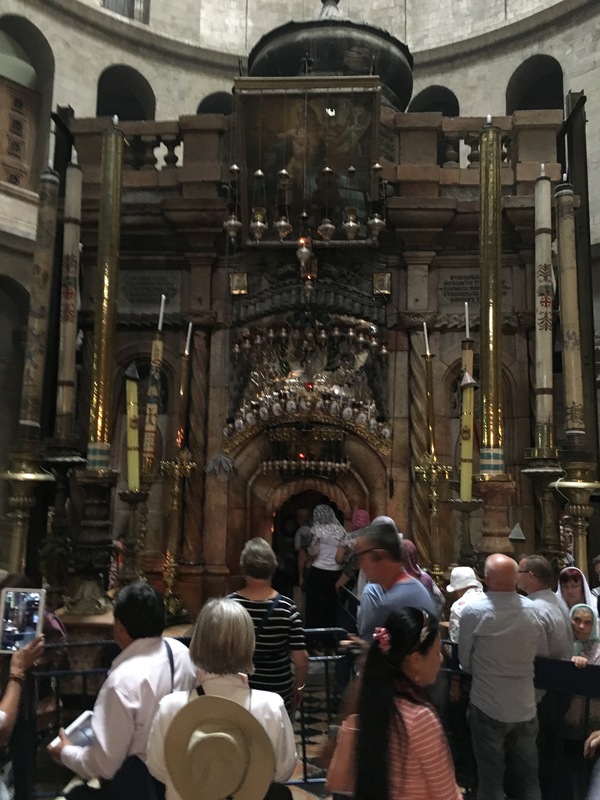 The traditional site of the crucifixion (the Church of the Holy Sepulcher) is actually inside the city, making it unlikely that Jesus was killed there. 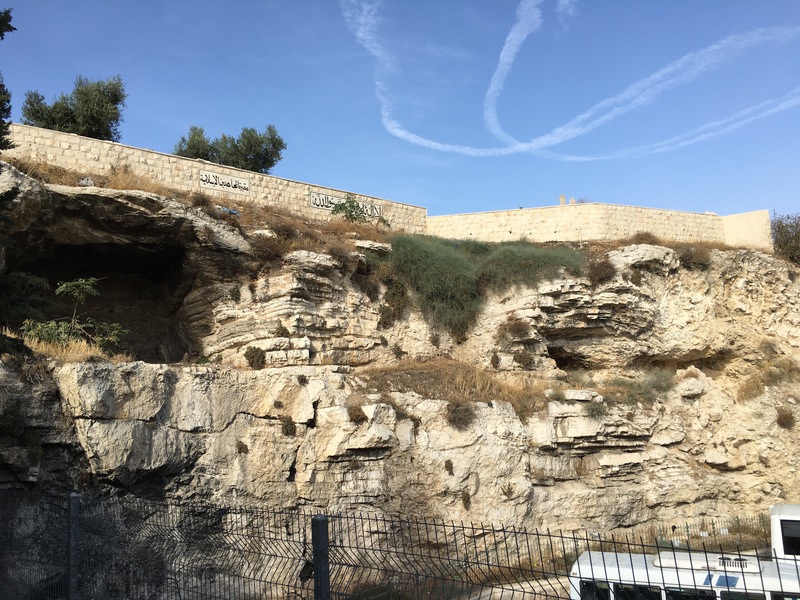 Furthermore, three of the four Gospel writers describe Jesus death as occurring at the “place of the skull” or “Golgotha.” Inside the “Garden Tomb” complex is a hillside with three distinct caves located on it side facing Jerusalem . . . that look like the openings of two eyes and a nose on a human skull. Also, this skull-like hill set alongside a prominent highway in the first century . . . the Road to Damascus. Again, this makes this site consistent with the kinds of places where Romans crucified prisoners. 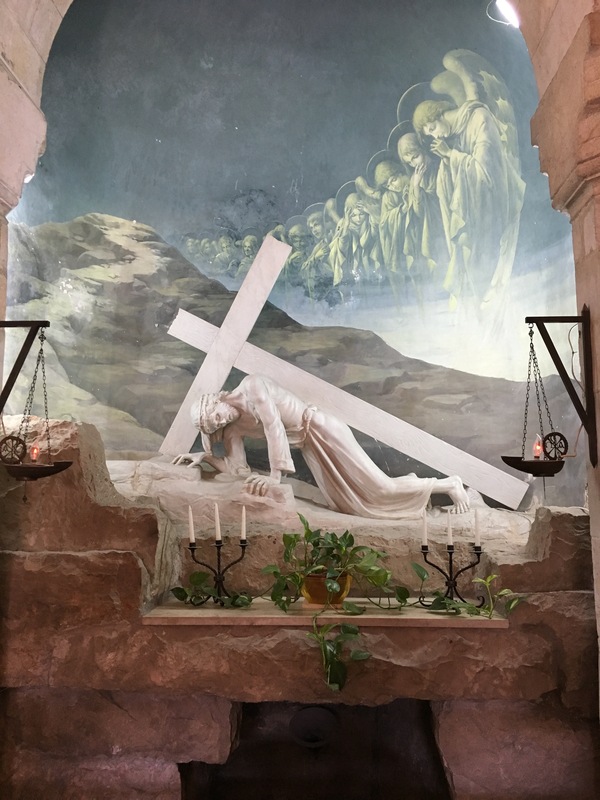 Finally, in close proximity to Golgotha was a Garden where Joseph of Arimathea would have buried Jesus quickly after His death. Archaeological evidence has confirmed various olive presses in this “garden” as well as a cave like tomb. Not a great picture, but this is Golgotha. The large cave on the left is one of the three caves making the hill have the appearance of a skull. All this makes it probable that the Garden Tomb (or someplace like it close by) is the location of the crucifixion, burial and resurrection. Or course, I say “probable” because we cannot really know for sure. The reason why we can’t know for sure is because JESUS IS NOT THERE! HE IS RISEN!!!!! In the summer of 1995 I was a part of a 6 week mission trip to Russia. On our way out of the country, we stopped in Moscow and visited Red Square. While there, I walked inside Lenin’s Tomb and saw the father of Soviet communism literally floating in formaldehyde. His tomb was occupied. This made my visit to Red Square historical, but but holy. Visiting the Garden Tomb however, was totally different. The tomb was empty, therefore my eternity can be full. Jesus was indeed the Son of God, punctuated by His triumph over the grave. The resurrection is an overwhelmingly powerful piece of historical evidence pointing to the fact that Jesus Christ is indeed the promised Savior of the world. When we trust in Christ, it is as if we were buried with Christ. We walk with Him into the tomb and leave behind all our sin. Then we get to walk out of the tomb identified with Christ and able to live in a newness of eternal life. It was a tomb baptism of sorts. How about you? Have you placed your faith in Jesus Christ for the forgiveness of sins? Have you identified with His death, burial and resurrection? If not, you need not enter the Garden Tomb literally. By faith, you can spiritually identify with Him and be saved. 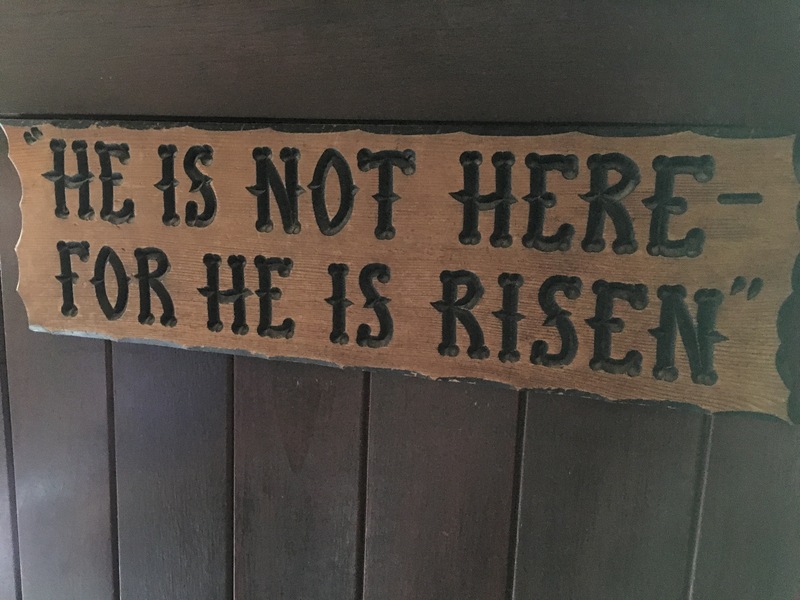 He is not there. He is risen just as they said! On Good Friday morning, Jesus was stripped, beaten, scourged, and mocked — all while Roman and Jewish leaders debated about how to handle their famous prisoner. Of course, Jesus fate was already determined as we saw back in the Garden of Gethsemane. God’s will was that Jesus lay down His life as a ransom for all our sins. Eventually Pilate gives in and sentences Jesus to be crucified. While visiting the city of Jerusalem, one of the stops we had was at the Ecce Homo Convent, a location managed by the Ladies of Zion. This convent is located on the site where the Antonia Fortress stood during Jesus’s day. The Antonia Fortress was built by King Herod to house Roman troops in the city of Jerusalem. Pilate probably had his office there. The convent’s name (Ecce Homo) is Latin for “Behold the Man.” It is believed that this location is where Jesus was presented by Pilate to the masses in John 19. 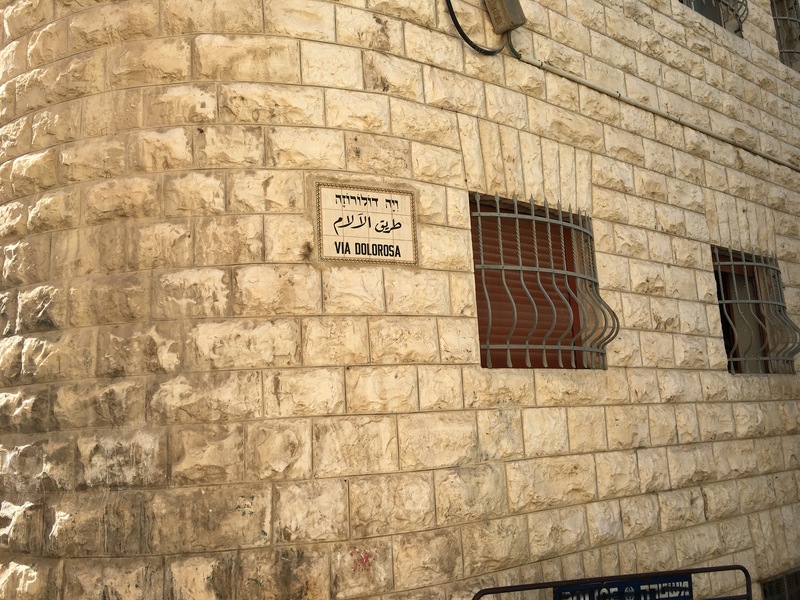 The convent sits along the Via Dolorosa, the traditional path Jesus walked to the cross. 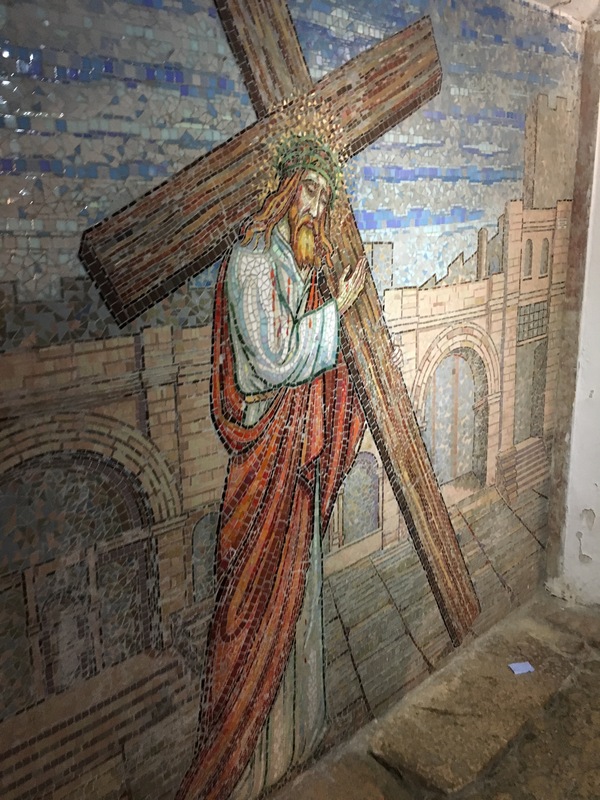 There are many stunning sculptures and paintings on the Via Dolorosa to stop by and reflect upon what Jesus has done for us. Remember, however, the modern city of Jerusalem (even its old parts) are built on top of ruins that date back years and years. The roads you walk at street level are not the same roads Jesus traversed. To see the original roads, you need to go underground. 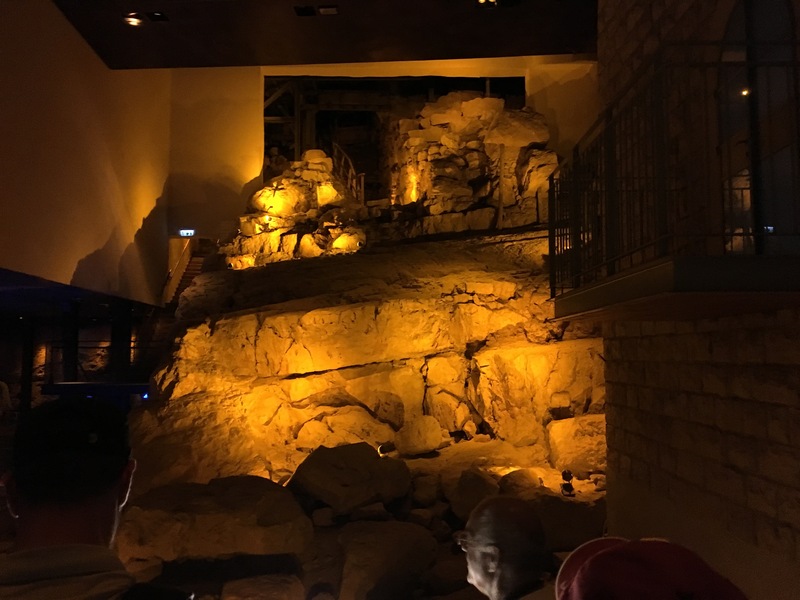 Beneath the Ecce Homo Convent in a dimly lit portion of the basement is a section of stones that are indeed original to the first century. They are the very road Jesus would have walked on the way to the cross. It is hard to describe the emotion in the room as our tour group stood on that road. Above us (at street level) thousands of people were bustling about, but underground all was quiet. The weight of the historical moment fell like a beam across our shoulders. Jesus had really died. He had really carried the cross that was meant for you and me. It really happened . . . in history . . . in this place. Our God is righteous and just. He will bring to account all sin and unrighteousness. Someday, all people will be brought before Him and it will be said of us, “Behold the man (or woman),” and our lives will be on display for Him to see. Though I have met some pretty amazing people in this world, I have never met a perfect one. This will pose an enormous problem for humanity as we stand before God on judgement day, He beholds us, and issues a judgement. On our own, we simply have no hope before a Holy and Just God. However, there is another possibility. Our God is also gracious. In His grace and mercy, God has made a way for us to be judged, NOT on the basis of our works, but on the basis of Jesus’s works. If we trust in Christ for the forgiveness of our sins, on judgement day, when we stand before God, we will be able to say – “Behold the Man” . . . and point to Christ. His righteousness will cover the wounds of our sin like a royal robe. The death that He died on the cross that He carried will be sufficient to satisfy all of God’s wrath concerning our sins. Religion is common to all mankind. Since people are created in the image of God, they have eternity placed in their hearts (Ecclesiastes 3:11). This causes people everywhere to (at the very least) have a divine curiosity. Sin, however, causes our interest in God to be expressed in bizarre ways. False religions, odd practices, and just plain old selfishness are common in virtually all expressions of religious worship in the world. Even among Christians, weird religious practices can develop over time. One such example of this is found at the Church of the Holy Sepulcher in Jerusalem. This church was created by the Roman Emperor Constantine’s mother (Helena) during the fourth century AD. It was built to commemorate the site where Jesus was crucified and buried. There are good reasons to believe that this was NOT in fact the location of the crucifixion, but the site has endured for 1,700 years nonetheless. Because of the traditional ties to its location, many different Christian religious traditions want to have a presence at the site. The Roman Catholics, Coptic Orthodox, Armenians Orthodox, Ethiopian Orthodox, Greek Orthodox, and Syrian Orthodox all manage sections of this church. For good measure, the Lutherans have a place just across the street. 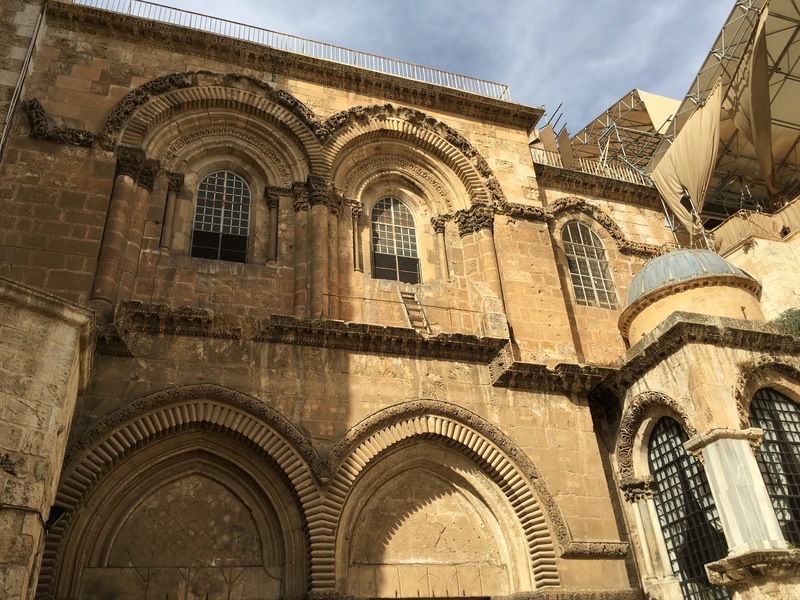 Given its diverse blend of traditions, you might think that the Church of the Holy Sepulcher is a picture of Christian unity around the cross. There is evidence, however, that not all things are ecumenical. Right above the church’s main entrance there is a ladder that sits on the balcony resting against a window sill. This ladder (made of cedar wood) is a simple maintenance ladder. It is not original to the church’s design and currently serves no purpose. However, no one wants to move the ladder. It has been standing at its current location for around 300 years. It shows up in artwork done of the church dating back at least that far. Given the ornate splendor of the inside of the church, you think someone would just remove the ladder to clean up the church’s appearance . . . but the various ecclesiastical leaders who oversee the church cannot agree on what to do with it. No one is definite on who put the ladder there or for what purpose, but the different denominational leaders cannot agree on who should take it down. Church politics and a general lack of unity and trust have kept that meager ladder front and center for nearly half a millennia. Seeing that ladder made me laugh. Not just because it looked so out of place in Jerusalem, but because I know a few “ladders” like that in churches found all over the world. Sometimes we Christians don’t get along the way Jesus intends. We fail to communicate about programs that no longer serve their purpose or styles that no longer relate. Rather than talk about it and make the necessary changes, we simply leave the ladder leaning against the wall. Isn’t it interesting how easy it is to see those things in someone else’s house? 6 million. It is hard to wrap your mind around a number that large. Yet in Israel, this number means a lot. 6 million is the number of Jews currently living in the nation of Israel (of the estimated 12 million people who live between the Mediterranean Sea on the West and the Jordan River on the East.) 6 million Jews live in the Promised Land. 6 million is also the number of Jews who died in the Holocaust at the hands of the Nazis during World War II. 6 million alive today. 6 million killed then. Knowing those two numbers puts our entire Israel trip into context. We saw but a fraction of the people of Israel during our trip . . . but it still felt like we saw a lot. Just imagining the number of people we saw during our 9 days in country dying at the hands of a madman is hard to fathom . . . much less all 6 million of them. How could this possibly be? As a theologian, I understand the nature of man. I understand that we are sinful and separated from God. I understand that humans are capable of selfishness that rises to extraordinary levels. However, it is still hard for me to imagine Hitler and the Nazis doing what they did. 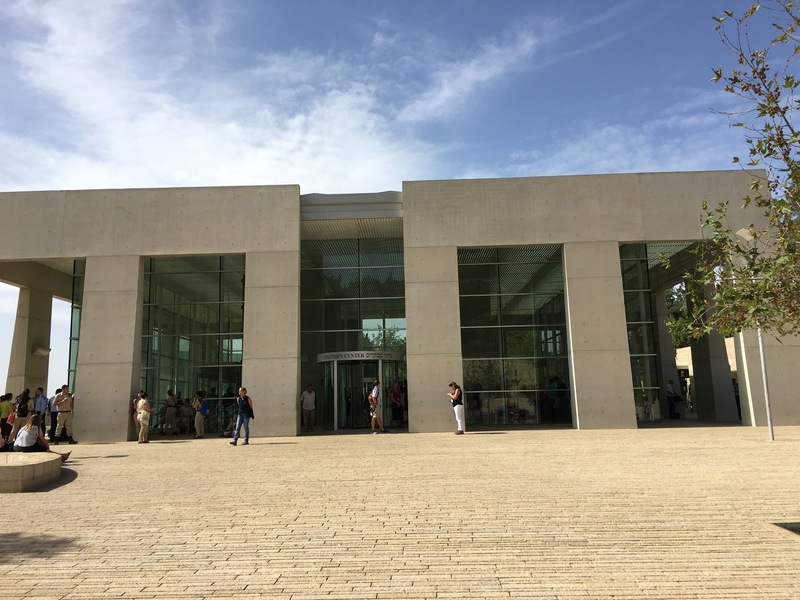 While touring the Israel National Holocaust Museum (Yad Vashem) in Jerusalem, we encountered hundreds of Israeli Air Force soldiers. They were visiting the museum as a necessary part of their training. 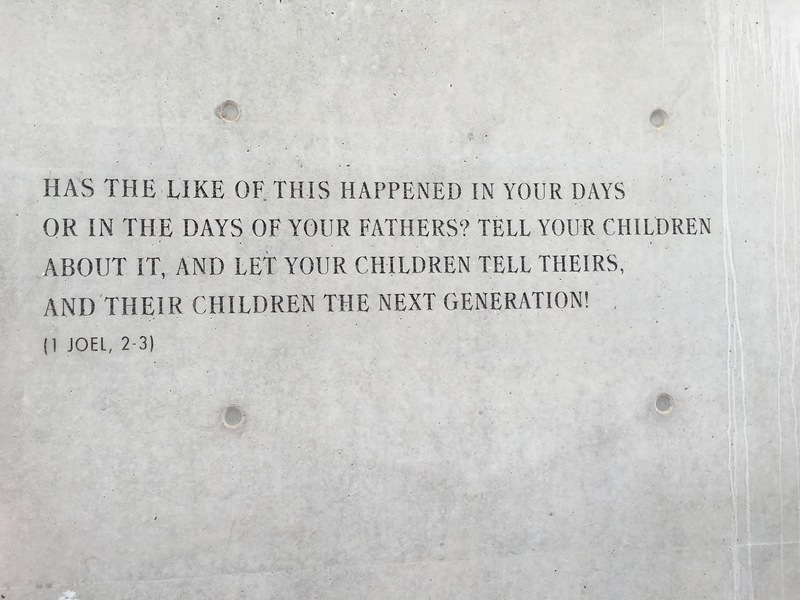 The Holocaust occurred a lifetime ago, and today’s Jewish soldiers have not had to live through its trials. Previous generations of soldiers knew why they were fighting. Today’s soldiers have to be taught through the harrowing tales shared on the walls of the museum. The preservation of the Jewish people through the Holocaust and the modern nation of Israel today is a testimony/reminder of God’s provision for these people. The Old Testament prophet Ezekiel prophesied about the return of the nation of Israel, and today that prophecy has become a reality. Walking the nation of Israel, I had 6 million reminders that God makes good on His promises. There are some very beautiful places in the world on every continent. The nation of Israel is no different. There are striking locations in Israel to be sure . . . the waterfalls of Ein Gedi in the East, the rugged beauty of the Judean wilderness in the South, the tranquil beauty of the Sea of Galilee in the North, and the Mediterranean coastlands in the West. However, the most beautiful part of creation I saw in Israel was the people . . . one person in particular. Our tour group had an Israeli tour guide. I learned about the land and its people through his experience and heard their story through his voice. Our guide was the most beautiful part of our trip. I mean that. He was generous, gracious, intelligent, and kind. He did not just show us the sites, he showed us his heart. His parents both lost their first spouse in the Holocaust. After World War II, his parents settled in Israel and he was born and raised there. Like most in Israel, he spent a section of his youth serving in the Israeli Army, leading a group of tanks in the 1973 war in Sinai. Given his family’s history, it is not hard to see how he always knew why he was fighting and the significance of the land he now feels privileged to give tours of. When our guide was growing up, the Jews had no access to Jerusalem. Though they possessed part of the land, they could not ascend to Jerusalem for worship. It was not until 1967 that the Jews were able to once again return to worship in Jerusalem. It is hard for me to fully grasp the significance of the Jews regaining Jerusalem. Israel’s Temple was destroyed in 70 AD and the Jews did not regain control of the city for nearly two millennia! After the 1967 war, the Jews once again were able to worship in the city of Zion. 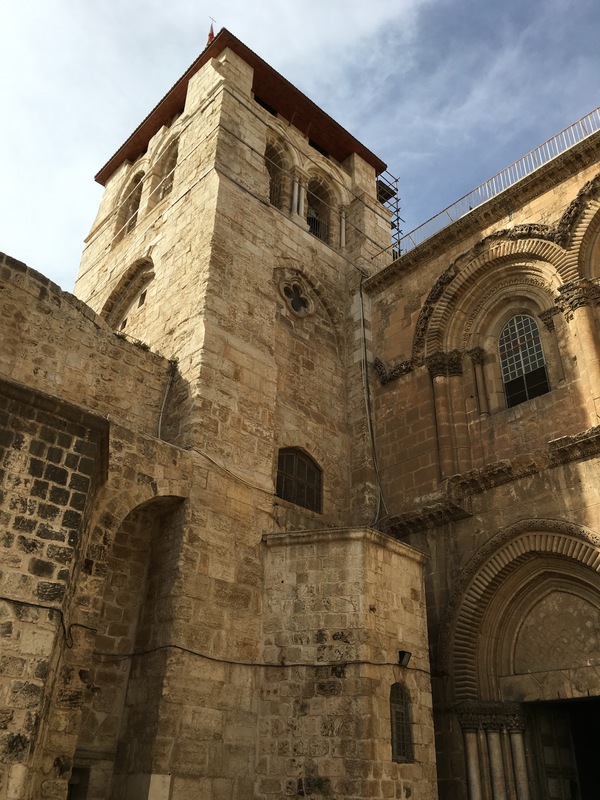 Our guide relayed the story of his first trip to Jerusalem in 1967 . . . walking up the Southern Steps of the city singing one of the Psalms of Ascent walking hand in hand with his father – a Holocaust survivor. He described it as one of the highlights of his life. I can easily see why. In fact, it was a highlight of my trip to Israel as well. Hearing the story initially brought tears to my eyes. Writing it down here causes me to cry yet again. It is just such a beautiful moment. Our guide was so generous to share that experience with us; he even invited us to join him in walking up the Southern Steps – hand in hand – just like he had done with his father nearly 50 years earlier. He sang the Psalm in Hebrew for us – praying for the peace of Jerusalem. The architecture of the Southern Steps is interesting. The steps are at varying heights and depths. This was not a flaw in the design, but a songbook of sorts. The different sizes indicating different parts of the Psalms of Ascent to be sung from each step. It was a joy to worship together. Most people go to Israel to see God, and they look beneath the rocks and the ruins. I think it is probably better to find God in the face of those who were created to bear His image. Thankfully this is a journey we can take every day. God’s image bearers are everywhere on this planet, reminding us of the gracious God who created us. Thanks Arie, for being the most beautiful part of our journey. The water shaft that David and his men used to take the Jebusite city. I am somewhat scared of the dark. I have been for most of my life. When I was a little kid, I remember leaving a lamp on in my room and my Dad would tip toe into my room after I went to sleep to turn it off. That was how I found comfort in the darkness. 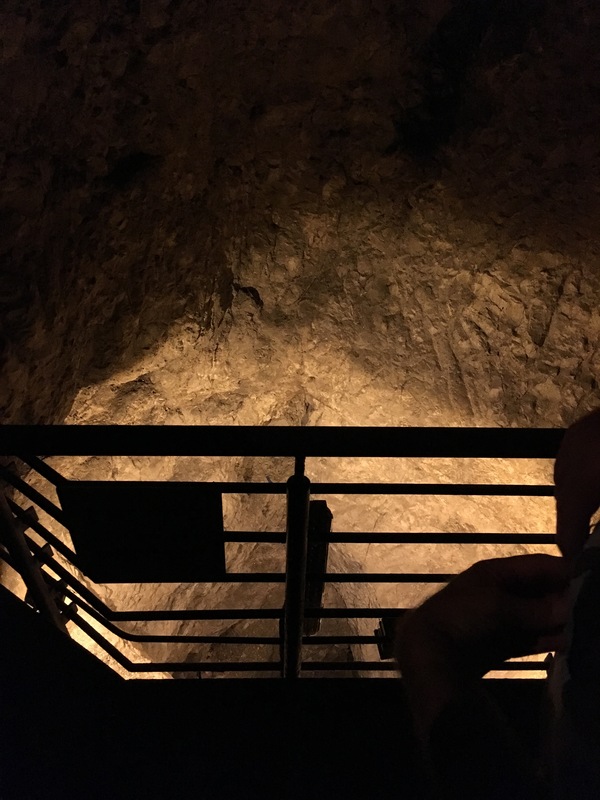 I was thinking about that experience as I walked my way through a series of tunnels (in the dark) beneath the “City of David” section of Jerusalem, just outside the Old City’s walls. 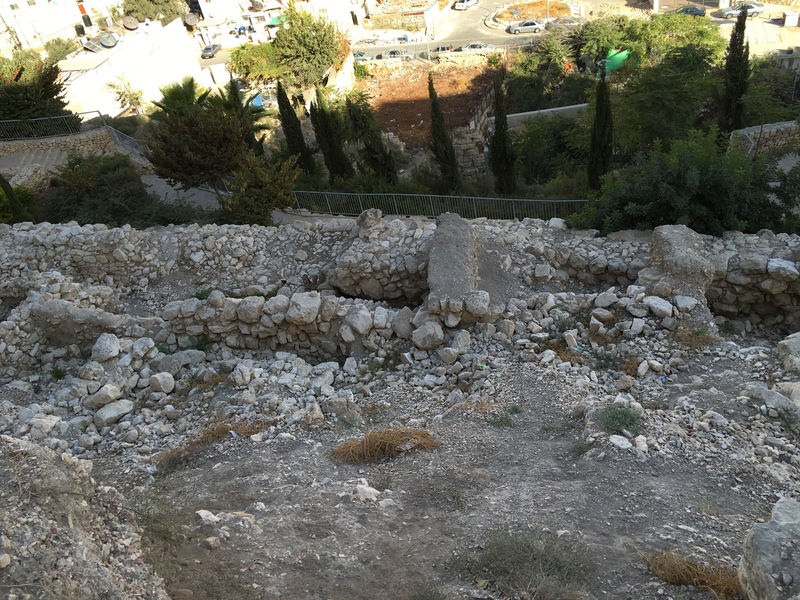 Before there was a Temple Mount or the Pools of Bethesda or the Beautiful Gate, there was a mighty Jebusite fortress found clinging to the side of Mount Moriah protecting a small village. This fortress had proven to be nearly impossible to take. While the Israelites had advanced over much of the territory in their conquest of the land, the Jebusite city still stood in the hands of the Canaanites. As a boy, David tended sheep in the fields surrounding the little town of Bethlehem. As he tended those sheep, no doubt he looked up at the mighty Jebusite fortress standing in mockery of the Jewish conquest. The Jebusite town was strategic, both for its location (virtually in the center of the Promised Land) and its natural resources (protection by the surrounding hills and access to a fresh water source.) Because of this, I am sure David dreamed of Israel one day possessing this stronghold. The remains of the Jebusite city. 3,800 years old! Once David became King, he led his army in an attack on the Jebusites in order to take the mighty fortress. Because of its strong fortifications, the Jebusites were not worried about David’s attack. As a matter of fact, as David approached, the Jebusites taunted him saying, “You will not come in here but the blind and the lame will ward you off! (2 Samuel 5:6)” The Jebusites looked at the size of their fortress and felt there is no way the Israelites would ever make it inside. David, however, had other plans. In David’s time walking around the Jebusite city, he noticed the water tunnels built to take the fresh water inside the fortress walls. Rather than attacking the Jebusites head on, David and his men entered the water tunnels in pure darkness and infiltrated the city through their “pipes.” This story is told to us in the balance of 2 Samuel 5. 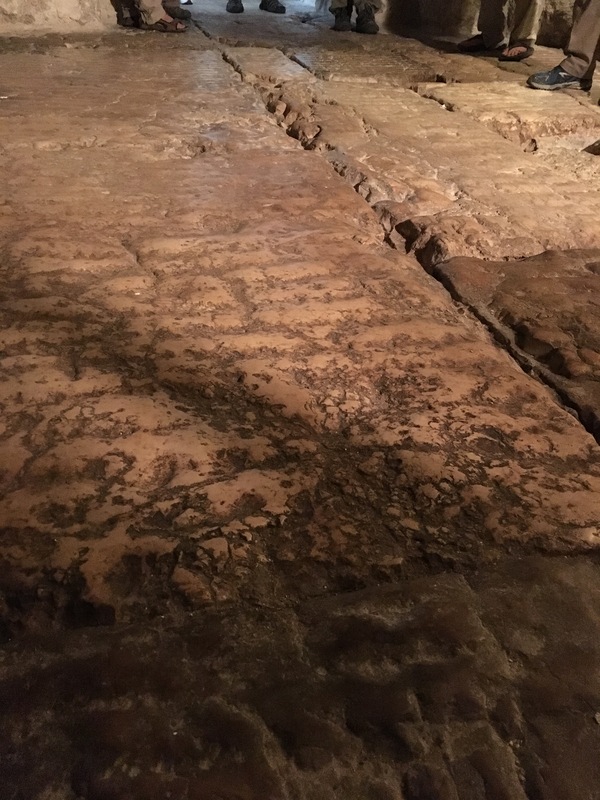 On our visit to Jerusalem, we got to walk in those very water tunnels, and look up the shaft that David’s men would have had to ascend in order to take the city. The shaft was narrow, long, and tall. There was not room for men to walk side by side, but the soldiers would have had to walk one in front of the other into enemy territory. As we visited this point, I could not help but think that these men must have had their hearts nearly beating out of their chests as they made their ascent into the city! It must have been in that moment of their fear that their Heavenly Father turned on a “lamp” for them to quiet their souls. David and his men indeed won the victory that day, and the Jewish capital would be established in Jerusalem (where the Jebusites had once resided) for the next 1,000 years. What are you facing right now that is causing you to fear? What must you face (seemingly) alone with no one else by your side? Cancer? Divorce? Death of a loved one? Being put on academic probation? What is it? There are real things in this life that are really scary . . . that really inspire fear in our hearts. Our hope is not in avoiding fearful things. Our hope is in having courage when we have reason to fear. This is only possible when we realize that our Heavenly Father can turn on a light and remind us that we are never alone. The Body of Christ is around us, the Spirit is inside of us, and our Abba is watching over us. Fear not! God can conquer the darkness you are facing as well and give you possession of the city. A very small section of the “wall” you see below is all that remains of the wall Nehemiah and the Israelites built upon returning to the city after exile. My son loves watching the Disney cartoon “Phineas and Ferb.” Each episode of this television series follows the same arc . . . Phineas and his brother Ferb design amazing creations allowing them to do a variety of wonderful things, all under the watchful eye of their sister Candice, who is on a perpetual quest to “bust” her brothers by showing their dangerous creations to their parents. Every single episode ends with the brother’s creation somehow disappearing before Mom or Dad find out. 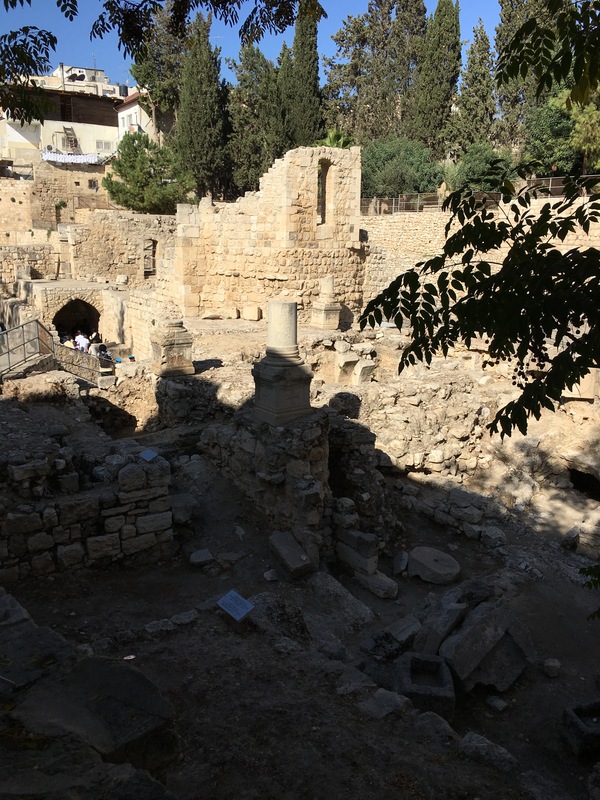 I was thinking about that story line while reflecting on the Pool of Bethesda in Jerusalem. This large public pool with five covered colonnades near Jerusalem’s Sheep Gate is the location of a prominent miracle of Jesus in John 5:1-17. For nearly 2,000 years, archaeologists searched for, but could not find, this pool. This lack of discovery caused scholars to wonder aloud if the Pool was an invention of the author of the Gospel of John . . . an assertion that would submarine the historical integrity of the fourth Gospel. It was as if the Pool of Bethesda had simply disappeared at the end of the episode before moderns Moms and Dads could find it. 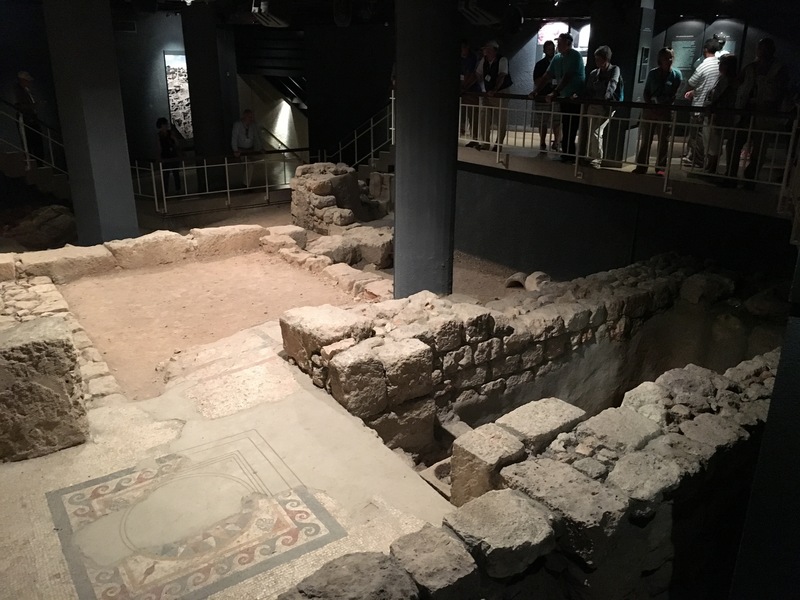 Then in the 19th century, archaeologists discovered a pool near St. Anne’s Church in Jerusalem’s Muslim quarter that some believed may be the Pool of Bethesda. Further expansion of the dig in 1964 revealed a vast area that resembles both the location and description of the Pool! Though it took nearly 2,000 years, modern skeptics were busted by archaeological evidence once again. One of the striking things about touring the Holy Land was seeing the archaeological evidence that consistently backs up the biblical record. It is a reminder to us that we do not have a religion based on fairy tales or cartoons. We follow a God who revealed Himself in history . . . including at the Pool of Bethesda where Jesus healed the crippled man in John 5. Seeing this proof reminds me that we can trust Jesus to heal our souls as well. 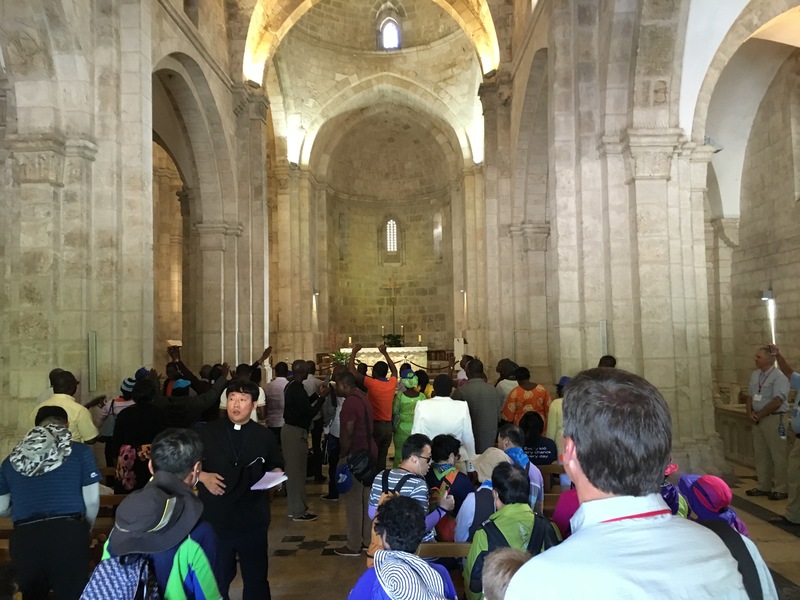 Worshipping with a multi-national group at St. Anne’s Church near the Pool of Bethesda. There is a place where people are fighting for the chance to worship. A location so holy that millions of people form foreign policy decisions about which religion prays there. A GPS pin that scores believe has a direct pipeline to heaven. Where is this locale? In Jerusalem, at the spot known of as the Temple Mount. This location is the historic site where the Jewish Temple stood for 1,000 years. Solomon built it . . . Zerubbabel rebuilt it . . . and Herod added onto it. For a millennia, this Temple housed the Holy of Holies and was the center of worship for the Jewish people. In 70 AD, however, the Temple was destroyed by the Romans, and the Jews did not have access to the site to rebuild for nearly 2,000 years (and counting.) In in the intermediary time, the Muslims claimed this location as the holy place where they believe Mohammad was transported to heaven to learn about prayer. In the late seventh century, they built the Dome of the Rock holy site on this location and the Al Aqsa mosque, claiming it as their own. Blood and tears have been shed over the years as Jews and Muslims have fought over this spot. 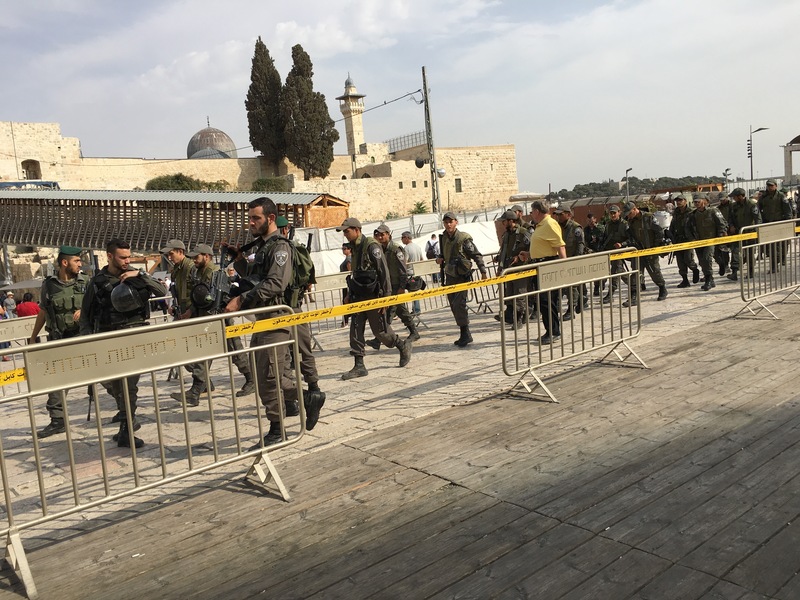 Under the current status quo, Jews are not allowed to worship on the Temple Mount, so many spend time praying as close to that location as they can . 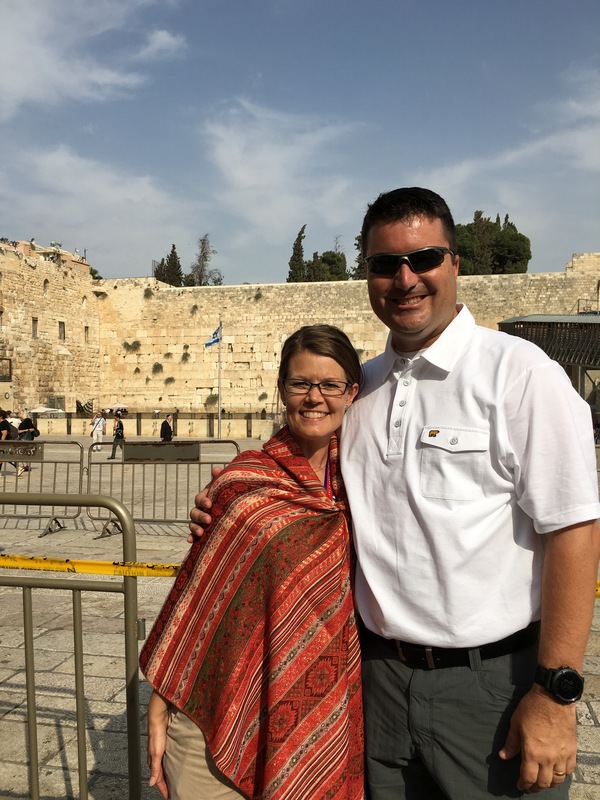 . . at the Western Retaining Wall of the Temple – the closest they can get to the spot where the Holy of Holies once stood. Israeli military patrolling the area around the Temple Mount. Al Aqsa Mosque in the distance. As you hear these details, you may want to ask yourself a question: “Why are Christians not fighting for the chance to worship on top of the Temple Mount? While misguided Christians did fight to obtain the Holy Land during the time of the Crusades, for the most part Christians have not fight over the Temple Mount. Without giving it much thought, we might EXPECT Christians to join this fight. After all, Jesus was a Jew, worshipped at the Temple, and a Jerusalem Temple is prophesied about in the Christian book of Revelation. Given these cues, why are Christians not fighting to worship there today? Christians believe that in Christ, we are always close to God. We no longer have to make pilgrimages to certain physical locations in order to worship. If we have placed our faith and trust in Jesus Christ as our rescuer from sin and judgement, we can worship God wherever we are. This means that we do not need to go to Israel to worship – we can worship God in our home country. In fact, Jesus was going to give the disciples a worldwide mandate in Matthew 28:18-20 . . . something that makes sense only when geography is not the most significant issue. Additionally, truly spiritual worship means that we can connect with God in our living room at home . . . we do not need to visit the western wall or a church building to get a “good connection” with God. We can commune with Him wherever we are. This is something Jesus has provided for us. What a privilege! Seeing the site of the Temple Mount and the Western Wall helped me understand more of the blessings we have in Christ. He has made it possible for us to worship Him wherever we are. This does not mean that places are not still important. 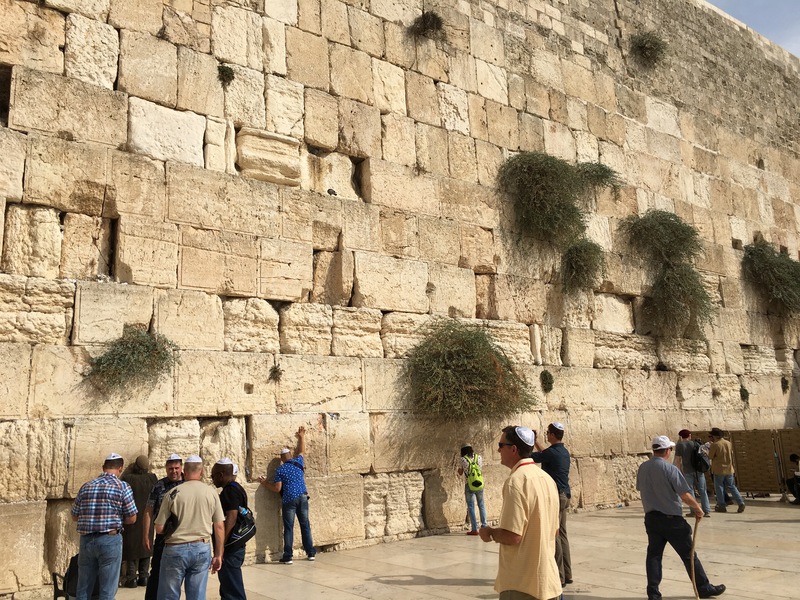 We can still have our hearts moved by stained glass or be inspired by the historical significance of the Western Wall, but these locations are no longer NECESSARY for our worship. I gather regularly with my brothers and sisters in Christ in a church building NOT because the building is holy. In Christ, the PEOPLE are made holy, and we gather together in physical locations, but as a living temple encouraging one another to faith in Christ. Worship is no longer about WHERE, but WHO. Therefore, we do not have to engage in holy war(ship) over a GPS pin in the Middle East. If I believed what the Jews believed, I would desperately want the Temple Mount as well. However, Christ has revealed to us that it is not about the mountain on which you worship, but about truly connecting our spirit with the God who created all places on this earth . . . and that is only possible through Jesus Christ. People praying at the Western Wall. The ancient story of the city of Jerusalem is not told at ground level. To get to the real story of the time of the Bible, you have to (pardon the pun) dig a little deeper. Jerusalem (like many ancient cities) was described to me as a “layer cake.” To find out what was happening in the city 2,000 years ago, you need to dig down below current street level to see the ruins from an era buried beneath modernity. All over the old city of Jerusalem there are opportunities to go underground and see some of the ancient city. One such opportunity was in the modern day Jewish quarter of the old city. 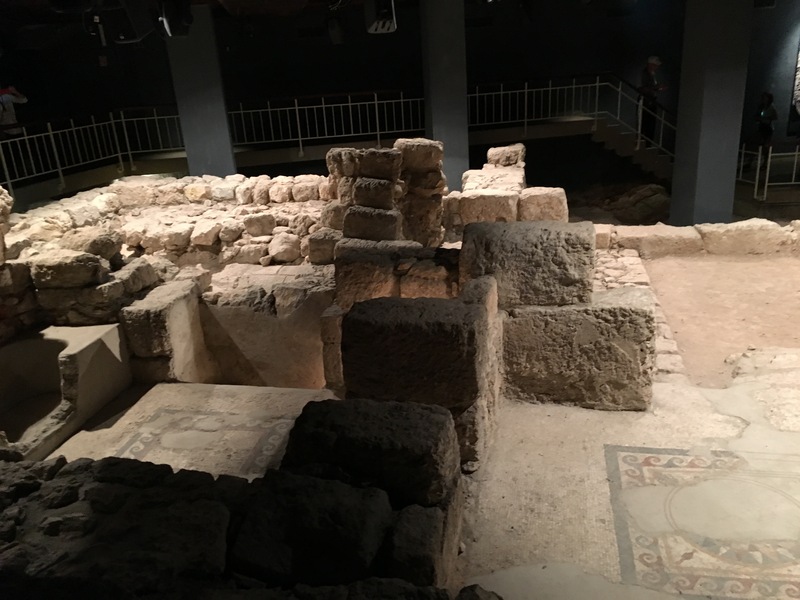 After a cup of frozen coffee (these slurpee type drinks were outstanding and found EVERYWHERE in Israel), we followed our guide beneath an apartment building and visited an important archeological site. The ruins we saw were in a section of the city where the priests lived in the first century. When we first started touring this set of ruins, we saw what looked like an entire neighborhood or village of ruins. After walking around for a bit our guide let us know that what we were seeing was NOT a village, but a single house. A huge house for the first century — one of the largest in town. The home had numbers of private ritual baths and fancy mosaics on the floors. It was apparent that whoever lived here was a person of considerable wealth. The hole on the right is one of the ritual baths located in this home. Though we do not know for certain, it is speculated that this was the home of the High Priest . . . possibly the home of Caiaphas who was High Priest in Jesus’s day. Seeing this home helped make sense (to me) of Caiaphas’s rejection of Jesus. Caiaphas was a man of great wealth. The then current system of religion and government in Israel had led to much prosperity for the Priests. Jesus’s teaching posed a legitimate threat to this old man’s status, so he gave into temptation to take Jesus out. I realize that what I just wrote is delving into speculation, but it is not totally unfounded. Clearly the Priest saw Jesus as a threat. Clearly he was willing to do whatever it took to eliminate the threat (Jesus) to protect the status quo. Further, we have zero indication that Caiaphas gave Jesus a fair chance to defend Himself or investigate His claims. As Paul said in 1 Timothy 6:10, “The love of money is a root of all kinds of evils. It is through this craving that some have wandered away from the faith and pierced themselves with many pangs.” This was a challenging moment for me as someone who works as a paid vocational pastor of a local church. I never want to be like Caiaphas and allow my integrity or my spiritual vitality or honesty to be purchased by a salary or a position. It is too easy to allow money to obscure our faith in God. How about you? Is it possible that the pursuit or protection of money and things has clouded your vision of Jesus Himself? Sometimes, we have to dig a bit deeper into our hearts to uncover our true intentions. 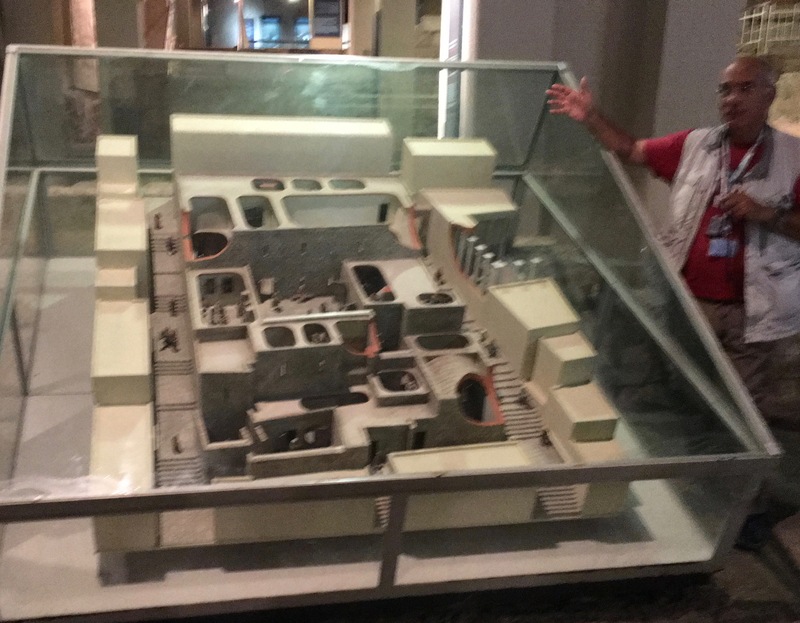 A model of the “high priest’s home” based on the ruins found beneath the city of Jerusalem. In a world with major cities on every continent . . . across a history that includes such places of prominence as Alexandria, Babylon, Athens, Rome, London, Paris, New York, Washington, and Beijing . . . there really is only one city that can say it is the most important city in the history of the world: the city of Jerusalem. While other cities are larger (Jerusalem today is home to roughly one million people) . . . or more wealthy . . . or contain more impressive architecture . . . or house more famous artwork . . . or are home to a more influential world government — you really can’t compare any of them to Jerusalem. It is in this city that God taught His people how to worship. It is in this city where Jesus came to die as a sacrifice for the sins of all the people. It is from this city where Messiah will one day rule the world in His millennial Kingdom. That is a resume that Wall Street or the Parthenon or the Colosseum simply cannot compete against! I was thinking about this as we toured the Israel National Museum and walked around a 50:1 scale model of the old city of Jerusalem. It was an impressive model and helped me orient to many of the ruins I saw in the city on our tour. A.W. Tozer once said, “The most important thing about you is what you think about when you think about God.” Like the city of Jerusalem, our connection to our Creator is more important than our nationality, how much stuff we have, or what we have accomplished. Our connection to God is the most important thing about us. It is what defines us. Are you connected to Jesus Christ? Is He who defines you? The Temple Mount in the 50:1 scale model of the city of Jerusalem at the Israel Museum.